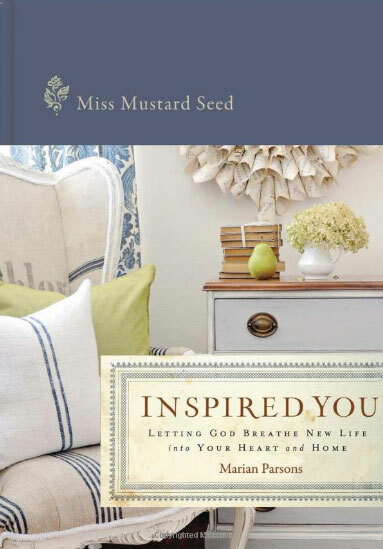 Have you ever used Miss Mustard Seeds Milk Paint? Rachel from D Bohemia just sent me some "shutter grey" as well as some wax, and I'm really excited to use it! Any tips or tricks would be appreciated as I have never used it before. was recently interviewed by 425 magazine. She seriously oozes with talent. Just want to say I went through your HOME tour and I am in love with every room. You have brilliant taste and style! the generous mention!! Truly...more than you know. Oozing with talent...that would be YOU of course! Thank you so much for the great giveaway! I really have been wanting this book and I'm SO happy to have won it. I sent you an email. Happy Weekend! Oh my! I hope that I am the "anonymous" Carol who won the book! I'll keep my fingers crossed that I hear from you! !